I wish I had a nickel for every time I’ve said, “I didn’t mean it like that!” Or, a nickel for every time someone said it to me. I’d be a very wealthy man! The sad fact is, the messages we send can often be received differently than we intend. And, when it happens, it can be a disaster. With college and careers starting for many this time of year, it’s important they’re aware of how they’re coming across and the impact of how we say things They’ll be making scores of first impressions and beginning new relationships of all sorts. Despite our best efforts, miscommunication happens to the best of us. Sometimes we’re the deliverer and other times we’re the receiver. Fortunately, there are some simple things you can do to minimize it, especially as you embark on a new stage in your life and meet new people. Word choice – This factor is huge, especially when we discuss sensitive topics and issues we are passionate or emotional about. In these situations, our emotions can interfere with our thinking, and we often use more provocative language that we later regret. In the “heat of moment,” we can be so focused on proving our point or describing how we really feel that we forget to show tact, empathy, and understanding to our audience. Inevitably it leads to hurt, mistrust, frustration, verbal attacks, or shutting down. We’ve all experienced this. Delivery – Sometimes it’s our manner of delivery that gets in the way, even if our word choice is fine. Delivery is especially important when meeting people for the first time. Examples include speaking with a harsh (or bored, unenthusiastic, or condescending) tone of voice or displaying certain expressions and body language that are not received well by others (crossing arms, standing over someone, frowning, smirking). No matter what words we use, if the “packaging” is incongruent, our message will lack credibility and rub people the wrong way. Form – Ever wanted to type a nasty email when you’re irritated, or send a harsh text when you’re upset? Trust me, that never ends well. The advantage of verbal communication is that the audience hears you speak, allowing your tone to help convey your ideas. In contrast, written communications (e-mails, social media messages, text messages, etc.) have a major disadvantage because the audience imposes their own interpretation of your tone when they read it. Their perception may be light years away from what you intended. If so, you have a big problem on your hands that might be very hard to undo! Filter – Depending on whether your audience likes or distrusts you, whether they’re in a good or bad mood, or either focused or distracted by other thoughts, your message may not get through in the way you intended. Unfortunately, this happens all the time (especially with written communications), and you can’t control it. Think before you speak, especially if you’re in an emotional state or commenting on potentially charged topics. Avoid provocative words and sleep on any written communications before sending when addressing sensitive topics. Strive to be empathetic by putting yourself in the audience’s position with a goal of mutual understanding. You may agree to disagree, but that’s okay. Closely monitor the receiver’s body language to see whether he or she may be interpreting your words differently than you intend. Their eyes won’t lie! Do you pay close attention to how you communicate and how your words are being received? 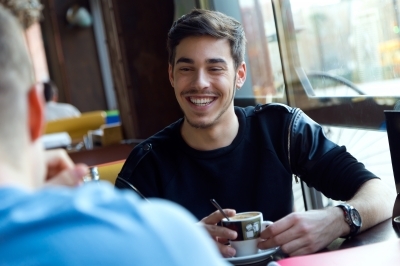 When meeting new people, how do you make a good first impression and avoid miscommunication? What are some ways you’ve learned to be a more effective communicator? But, within three hours of arriving home from the hospital with our newborn son Michael, the thermometer indicated a temperature of 105! Our bliss quickly turned to panic and a little voice was telling me that maybe this dad thing wasn’t as easy as I thought it would be. Truth be told, it wasn’t. Understanding and accepting the responsibility that comes with parenting. Great parenting isn’t just about having fun or keeping our children happy. We are primarily responsible for loving, nurturing, training, affirming, supporting, and empowering our children to be independent and responsible adults. It’s about helping them develop their leadership qualities and preparing them for life and the key decisions awaiting them, as well as having the courage to show tough love when behavioral modification is needed. It’s crucial that parents and guardians be on the same page when it comes to goals, attitudes, and methods. Think of it as one team, one dream! Understanding and agreeing on our parenting responsibilities is a team effort where each partner needs to support, encourage, and reinforce the other. To do otherwise will lead to fireworks and to children who will manipulate the “weaker party” on an issue. If you and your child’s other parent are not together, you can still have a unified front on parenting methods. Try to put aside any other differences and find places of agreement on your parenting goals. In these days of helicopter parenting, this one is crucial. What incremental responsibilities are you giving them as they mature? What habits, behaviors, and attitudes are they exhibiting today that will need correcting down the road if you don’t intervene now? What praises and recognition can be given for demonstrating responsibility beyond their years? It pays to start early in the process, so fewer corrections will be required in the later teen years, closer to the launch, when they’re exerting their independence. My wife and I are detail-oriented people who are stable in temperament and lack a creative bone in our bodies. So, wouldn’t it stand to reason that Michael would be a blend of these attributes? Ha! We soon learned that his gifts, interests, and temperament were not from our gene pool. We gave birth to a delightfully creative kid who was nothing like his parents. Not better. Not worse. Just different. And, while it took some time to figure it out, we learned to work with that. Unfortunately, we see a growing trend of parents putting pressure on their children to be just like them (or someone else—like a successful friend or a “better performing” sibling). As parents, we should be striving to bring out the best in our uniquely designed children—whatever that may be—rather than parenting for performance or replication. That means letting them live their dreams, not ours. By keeping these four points and our parenting goals in mind, we can enjoy a smoother ride and more reliable outcomes. When we are strategic, and most importantly—intentional—with our parenting, we will give our children, and our relationship with them, the best chances for success. How do you ensure you are strategically and intentionally parenting your child or teen? What parenting goals have you developed? This post was adapted from Parenting for the Lauch: Raising Teens to Succeed in the Real World, by Dennis Trittin and Arlyn Lawrence, LifeSmart Publishing. To learn more about “parenting for the launch,” or to order a copy of the book, visit the website at www.parentingforthelaunch.com. Summer…. Don’t we all love it? Enjoying the days in the sunshine, drinking lemonade on the back deck, spending more time with family, and kids (and college students) getting a chance to relax before school starts again. I am not sure who loves summer more—kids, or teachers! But, one thing I’ve learned over the course of my lifetime is that summer vacation isn’t an excuse for learning to go out the window. The same is true for us adults, who are well advanced in our careers. Whether it’s exploring new topics or taking a deeper dive into subjects we already know, life-long learning is a pursuit that will serve kids—and adults—for the rest of their lives. What are ways we can explore other subject areas, challenge our minds, and grow even stronger in areas that we enjoy? I grew up living the simple life in small-town Wisconsin. It was a childhood I wouldn’t trade for anything in the world. I spent most of my free time either playing sports or hanging out in the woods with my friends. But, while that got me through high school and college just fine, I began to notice something early in my career…most of my peers were more intellectually well-rounded than me. I especially noticed it at gatherings when politics and world affairs were discussed. I had little to contribute and it was affecting my self confidence. In this global, knowledge-based economy, students need an insatiable appetite for learning. This means deepening their subject knowledge, as well as pursuing a variety of interests. Encourage them to explore other subject areas that challenge their minds. Catch up on current events by reading newspapers, magazines, and websites or by watching many of the wonderful shows on PBS . Download the app for a media outlet you don’t normally follow. Get your news from a variety of places. Job shadow someone who is employed in a career field you’re considering, or one you know little about but have always been interested in. Encourage the young people you know to stretch their wings a little, to be lifelong learners (and do the same, yourself). It’ll help them advance in life and make them more well-rounded and dynamic people. What are ways you’ve encouraged learning in your children or student outside the classroom? How about for yourself? How do YOU keep sharp and keep building your repertoire of skills and information? It’s likely some of you have students who will be on their way to college in a matter of weeks or days. Finally, their first taste of independence (and arguably the greatest milestone for their parents as well)! So, how are you feeling about it? If you (or someone you know) has a college freshman about to start school, this post is for you! 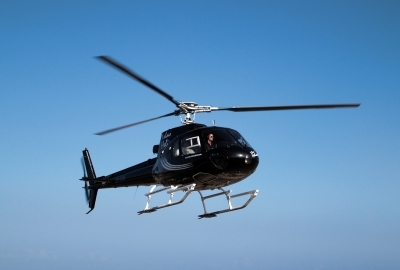 I remember the first time I (Arlyn) heard the term “helicopter parent.” It was at my daughter’s college freshman orientation, where they separated parents and students into different rooms and gave us each a good talking-to. There they told us, in no uncertain terms, that helicopter parenting would be detrimental to our students’ success in college. It’s pretty easy to imagine. A young adult is off to the real world—college or the work force—ready to make his or her mark in life. As he does, there is a helicopter hovering over him, the pilot barking advice through a megaphone. The copter sweeps in for closer views at times. Other times, it pulls away slightly but it is always a very real presence, with the whirl of its blades never too far away. Our children’s generation has seen the rise of helicopter parents more than any other.. As they hover, they’re always advising and intervening, enabling and rescuing, offering opinions and sometimes outright manipulating. Why? Generally speaking, the reasons include “to be involved in my child’s life,” to “help,” and to “be an advocate.” Good intentions—but when they start to work against our ultimate parenting objectives, these efforts can actually become counterproductive and downright detrimental. Employers and school and college counselors are witnessing it in droves. Let’s back up and identify why this is such a problem today, since our parents’ generation didn’t suffer from it as much. Theirs was (again, generally speaking) more a generation of self-sufficiency—of parents and their adult children living their own lives. This, however, is the generation of highly involved parenting. This is the generation whose fathers are in the Lamaze classes and the delivery rooms, whose parents are at every ball practice, and some of whose moms (or dads) give up lucrative careers to take on the full-time career of parenting. And, they give it every bit as much effort and excellence as their corporate careers! Thus, was born the performance parent. So, guess who’s having a little trouble letting go when Junior goes off into the real world? (Hint: It’s not Junior!) Just check the Facebook posts of parents who are readying to launch their teen and you’ll see what I mean! Young children need their parents A LOT. They need us to interpret the world for them, help them make decisions, recognize and avoid danger, choose the right kinds of friends, and know when to work and when to play. That being said, our role is an evolving one. In fact, our goal should be to eventually work ourselves out of a job! Well, sort of. When our kids were little, we put training wheels on their bikes, and then took them off as they demonstrated increased strength, balance, and confidence. That’s how we should be approaching the teen years. We go from holding them on the bike with both hands, to keeping one hand on the seat, to letting them ride alone with training wheels, to taking off the training wheels and cheering like crazy from the sidelines. That’s what being a “chief encourager” is all about. Going from director to chief encourager is one of the biggest challenges for parents during the years leading up to and including the launch. And truthfully, it can be a big challenge for teens as well (although they probably won’t admit it). Change isn’t easy for any of us. But if teens are going to be successful, confident adults, they need to be able to operate independently. If you haven’t started operating as your teen’s chief encourager (rather than pilot or director), it’s time to start practicing now! You’ll be pleasantly surprised by how your teen rises to the occasion as you gradually let go. This blog post was adapted from Parenting for the Launch: Raising Teens to Succeed in the Real World by Dennis Trittin and Arlyn Lawrence. To purchase, visit www.parentingforthelaunch.com.